Although Republicans were pleased that Special Counsel Robert Mueller said he was unable to establish a criminal conspiracy between the Trump campaign and Russia, they fear his practice of distorting facts during his investigation will color his final report, which Attorney General William Barr is expected to release to Congress in redacted form this week. Democrats are convinced that it will show examples of “collusion” between Trump and Russia, even if there was no evidence of a criminal conspiracy. Seeking to manage public perceptions about the Mueller report as much as Democrats are, Republicans say their counterparts are bent on cherry-picking its details to make it still look as if President Trump coordinated with Russia, part of their effort to keep the collusion narrative alive heading into the 2020 presidential election. They fear Mueller will make it easy for them to continue spinning that tale. 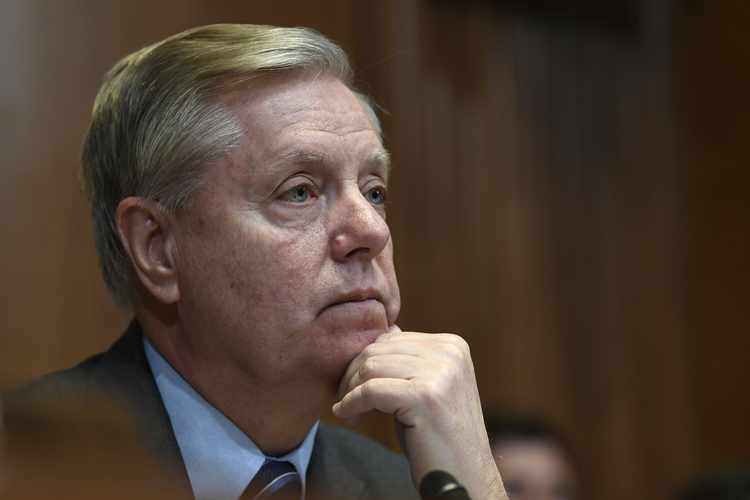 Sen. Lindsey Graham: Mueller distorted Papadopoulos emails. Senior Republicans on investigative committees on Capitol Hill, who have reviewed some of the same evidence Mueller’s investigators have examined, complain that the special counsel’s team of mostly Democratic prosecutors shaded evidence in charging documents filed against a number of Trump associates for process crimes unrelated to collusion (mostly lying to investigators) to suggest a broad conspiracy. They say that the special counsel and prosecutors misled the court and the media by, among other things, editing the contents of emails to cast a sinister shadow on otherwise innocuous communications among Trump advisers and by omitting exculpatory information. They cite charging documents filed against Trump advisers George Papadopoulos, Michael Cohen and former Lt. Gen. Michael Flynn as examples. “The indictments that were made by the Mueller team are very questionable, and there’s pieces of them that read like Russian spy novels,” said Rep. Devin Nunes, the top Republican on the House Intelligence Committee. As the Senate Judiciary Committee pointed out in a secret letter to Mueller, the special counsel neglected to mention that the emails had been provided to it by the Trump campaign and they showed the campaign wanted someone “low level” to decline these types of invitations. The distortions led the Washington Post, CNN and other major media to “misinterpret the nature of the internal campaign dialogue” as attempts by the Trump campaign to coordinate activities with Moscow, according to Sens. Lindsey Graham and Chuck Grassley, the top Republicans on the committee. Sens. 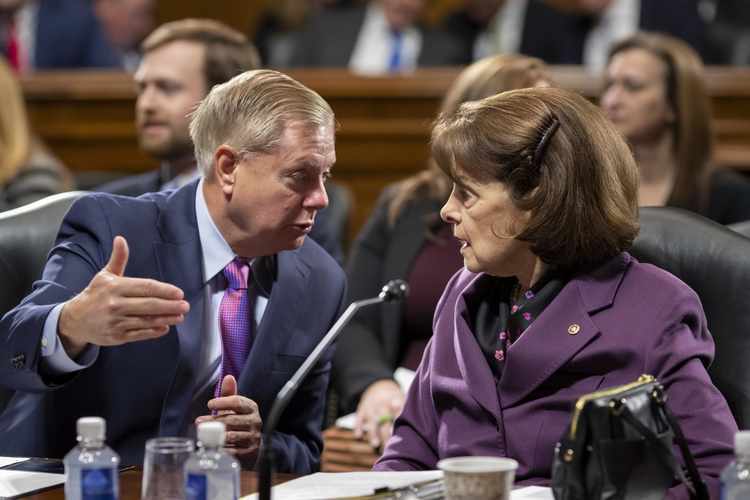 Graham and Dianne Feinstein of the Judiciary Committee: Graham suspects Robert Mueller of distortion, Feinstein suspects Attorney General William Barr of the same. But Republicans have pressed their own doubts about Mueller. Last month, in another little-noticed letter to Barr, Senate Judiciary Committee investigators elaborated on the Papadopoulos matter and what they described as Mueller unfairly cherry-picking from internal Trump campaign emails. They claimed that he and his prosecutors had cited only fragments of the emails in the charging document against Papadopoulos. And they pointed out that this “selective use” of the emails made it seem as if the adviser and the campaign were working behind the scenes with Russia, when in fact that was not the case. Taken in their fuller context, the emails showed Papadopoulos was in fact discouraged from meeting with Russians. Additional context showed that Papadopoulos, acting as a foreign policy adviser, had conversations with representatives from multiple governments, not just Russia, and that his supervisor Sam Clovis, along with campaign chair Paul Manafort, had opposed any trip to Russia for Trump and the campaign. Mueller left all of this out of the complaint he personally signed against Papadopoulos in October 2017. The following month, after Senate investigators had compared the emails quoted in the Papadopoulos filing with the full emails they had obtained separately from the Trump campaign, they called Mueller out on the omissions, arguing he took information out of context. 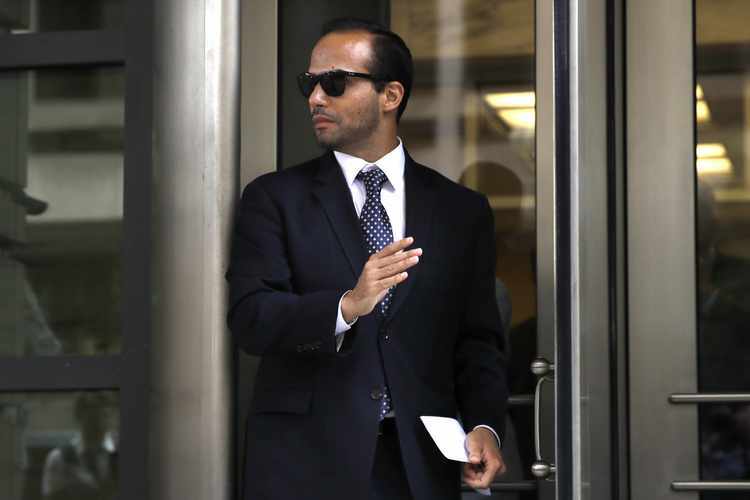 George Papadopoulos: Probers made it seem he was “vaguely connected with the collusion aspect” of Mueller’s case. Mueller objected to the committee releasing the full emails at the time. Papadopoulos said he handed over all his emails, text messages and other communications with the Trump campaign to Mueller’s investigators. He said they shaded the emails to make it seem as though he was “vaguely connected with the collusion aspect” of Mueller’s case. Also listed on the charging document against Papadopoulos was Mueller prosecutor Jeannie Rhee, a former top Obama appointee and Clinton donor who Papadopoulos said was biased against him and had political “conflicts of interest” investigating him and the Republican campaign. She was one of 13 registered Democrats on Mueller’s team of 17 prosecutors. Papadopoulos said Rhee repeatedly threatened him, telling him he was “looking at 25 years in prison” if he didn’t cooperate with Mueller. Ultimately he pleaded guilty to making a false statement – he claimed he did not know that Joseph Mifsud, the Maltese academic who had told him the Russians had “dirt” on Hillary Clinton, had connections to the Russian government when, in fact, he did. There are no reports he tried to track down the “dirt” or told anyone in the Trump campaign about Mifsud. Ultimately he was sentenced to 14 days in jail. Formerly a senior adviser to Attorney General Eric Holder, Rhee was a partner at Mueller’s old law firm, WilmerHale. In 2015, she defended the Clinton Foundation in a lawsuit that claimed it operated as a racketeering enterprise shaking down donors in exchange for government favors. In 2015 and 2016, she contributed $5,400 to Hillary Clinton’s presidential campaign. Michael Flynn: Mueller omitted an exculpatory detail, that anti-Trump FBI agent Peter Strzok thought he was truthful. Republicans say the special counsel also demonstrated collusion bias in its complaint against Trump National Security Adviser Flynn, former prosecutors say. Mueller charged the retired general with lying to FBI investigators about his conversation with the Russian ambassador during the presidential transition, even though one of the investigators — noted Trump critic Peter Strzok — “had the impression at the time that Flynn was not lying or did not think he was lying,” according to internal FBI documents uncovered by Flynn’s defense team. In fact, former FBI Director James Comey has said Flynn provided truthful answers and wasn’t intentionally misleading investigators on Jan. 24, 2017, when he was questioned by Strzok and another agent. Mueller omitted the exculpatory information from the charging documents he filed against Flynn. A third troubling example Republicans point to is the special counsel’s complaints against Trump’s personal lawyer, Michael Cohen, which like other court documents included tantalizing hints of collusion that dissolved upon closer inspection. They say Mueller used the so-called Moscow Project talks – Trump’s hope to build or at least brand a Russian skyscraper — to connect Trump directly to Vladimir Putin during the campaign, while withholding from the court details that would exonerate Trump of such collusion. Mueller omitted the fact that Michael Cohen, above, did not have any direct points of contact at the Kremlin, and had resorted to sending emails to a general press mailbox. A closer reading of the November 2018 charging document filed with Cohen’s false-statement plea deal reveals that Mueller — who personally signed the document — omitted a fuller accounting of Cohen’s emails and text messages which, according to Capitol Hill investigators who have seen them, make the deal look far less nefarious than portrayed in the filing and in the press. On page 7, Mueller mentions that Cohen tried to email Russian President Vladimir Putin’s office on Jan. 14, 2016, and again on Jan. 16, 2016. But Mueller omitted the fact that Cohen did not have any direct points of contact at the Kremlin, and had resorted to sending the emails to a general press mailbox. In the end, neither Putin nor any Kremlin official was directly involved in the scuttled Moscow Project, sources say. 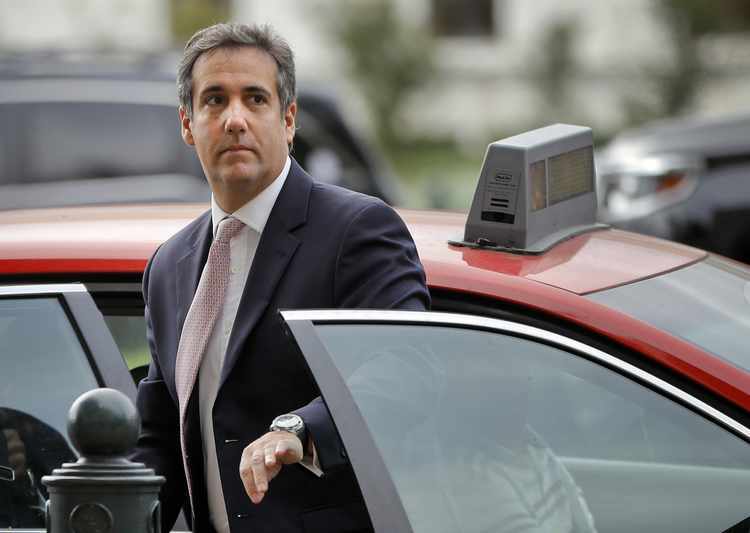 Moreover, neither Cohen nor Trump traveled to Moscow in support of the deal, as real estate broker and Cohen business associate Felix Sater had urged. No meetings with Russian government officials took place. It was Sater, a Russian immigrant with a checkered past, who came up with the tower project idea in 2015. But the project never went anywhere partly because Sater didn’t have the pull with Putin he claimed to have. Sources who have seen Sater’s still-secret transcripts of closed-door testimony say Sater, whom Cohen described as a “salesman,” testified to the House intelligence panel in late 2017 that his communications with Cohen about putting Trump and Putin on a stage for a “ribbon-cutting” for a Trump Tower in Moscow were “mere puffery” to try to promote the project and get it off the ground. Also according to his still-undisclosed testimony, Sater swore none of those communications involved taking any action to influence the 2016 presidential election. None of the emails and texts between Sater and Cohen mention Russian plans or efforts to hack Democrats’ campaign emails or influence the election. Major news organizations seized on Mueller’s misrepresentations. CNN said the charging documents, which reference the president as “Individual 1,” suggest Trump had a working relationship with Russia’s president and that “Putin had leverage over Trump” because of the project. “Well into the 2016 campaign, one of the president’s closest associates was in touch with the Kremlin on this project, as we now know, and Michael Cohen says he was lying about it to protect the president,” said CNN anchor Wolf Blitzer. “Cohen was communicating directly with the Kremlin,” Blitzer added. Adam Schiff, now the Democratic chairman of the House Intelligence Committee, said Trump was dealing directly with Putin on real estate ventures during the campaign. Clinton supporter Rhee’s name is the first listed under Mueller’s signature as one of the prosecutors involved in the Cohen case, appearing at the end of the government’s December 2018 sentencing memorandum filed against him. Attorney General William Barr: Republicans fear juiced indictments color final report. 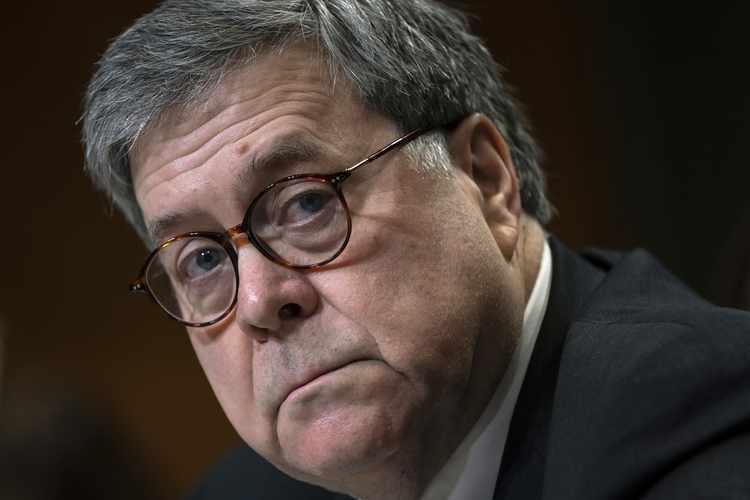 Attorney General Barr last week pledged to Democrats that he won’t withhold any derogatory information about the president regarding “collusion” contained in Mueller’s report. But Republican lawmakers warn that if the special counsel’s juiced indictments are any indication, his report won’t be any more objective in detailing underlying evidence and telling the whole truth about Trump campaign activities in 2016. Still puzzling to many Republicans is why Mueller, reportedly a Republican himself, would feint criminal collusion findings. It’s not hard to see why many of the partisan Democrats he hired for his prosecution team, led by Clinton booster and anti-Trump “pit bull” Andrew Weissmann, would want to leave the impression Trump was actively cooperating with Moscow to steal the election from Clinton. But why Mueller? Former prosecutors and investigators think Mueller’s hidden agenda was to protect the institutions of the FBI and Justice Department, as well as the broader intelligence community the agencies increasingly had become a part of following the 9/11 terrorist attacks. To that end, some suggest Mueller had a more Machiavellian plan: swaying the 2018 congressional elections to change the House majority and trigger impeachment hearings. Former federal prosecutor and commentator Andrew McCarthy pointed out that Mueller knew he had no collusion case more than a year before the midterm elections, yet kept teasing collusion in court filings throughout the 2018 campaign. “When Mueller closed his investigation, he almost certainly knew for about a year and a half that there was no collusion case,” McCarthy said, adding that, among other things, Mueller let the surveillance warrant on Carter Page lapse in early fall of 2017. Did prolonging his investigation influence the 2018 election results? 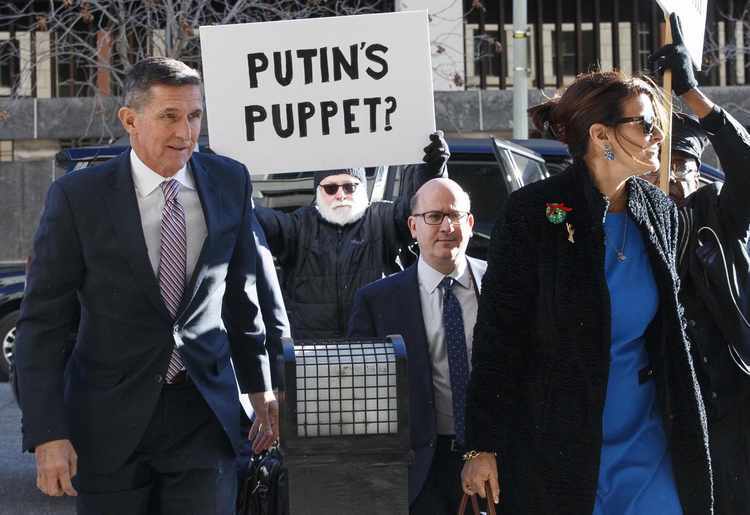 Exit polling shows that 49% of voters – nearly 1 in 2 – said they believed the Trump campaign coordinated with the Russian government during the 2016 election.